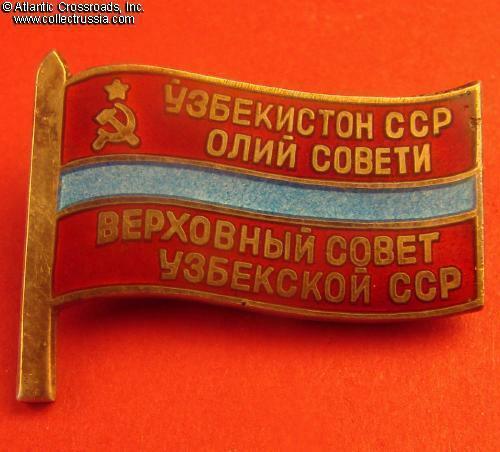 Supreme Soviet of Uzbekistan membership badge, pin back, numbered, 1971-1980. 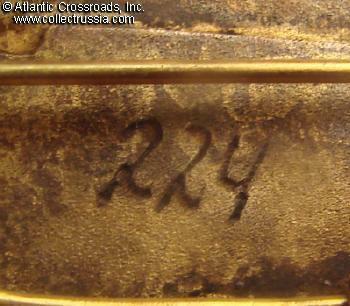 Silver gilt, enamels; measures 31.0 mm in width, the flagpole is 24.0 mm tall. 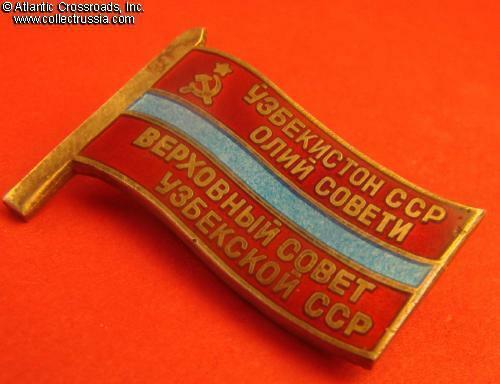 Outstanding quality, typical of the Supreme Soviet badges. 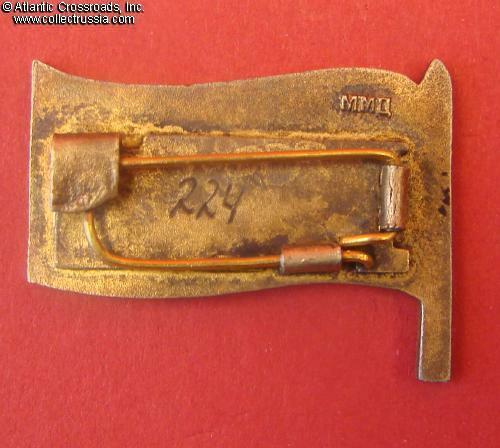 Engraved serial number "224". 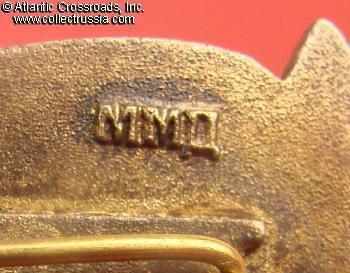 The reverse shows maker mark "MMD" with "square top" D. Badges with sharing these characteristics were issued to members of only 3 Convocations of the Uzbek Supreme Soviet: 1971, 1975 and 1980. The combined number of all delegates was 1432. In very fine condition.There are several tiny surface flakes in the upper right corner of the flag, barely noticeable; no penetrating chips or repairs. Also shows a couple of miniscule knocks to the silver edge. The gilt finish is nicely preserved.